President Donald Trump announced on Jan. 22 he’ll sign legislation shortly to reopen shuttered government departments for three weeks — until Feb. 15. Trump’s action will end what has become a record, 35-day partial shutdown. 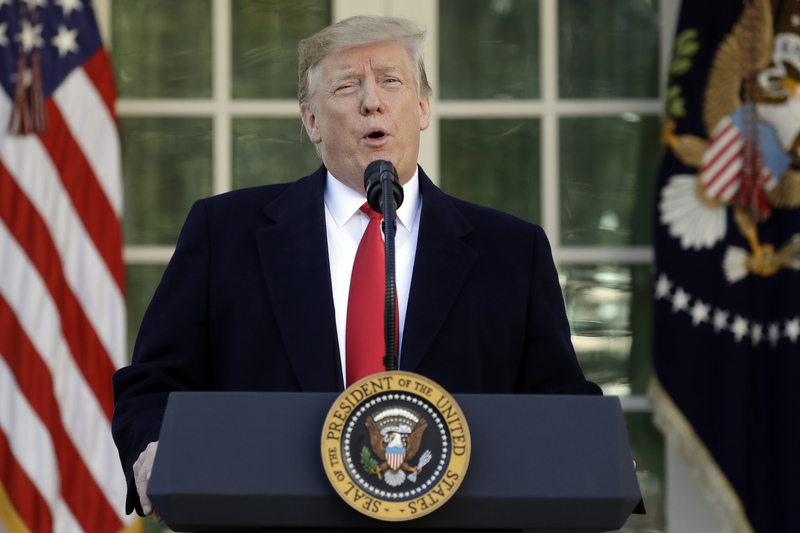 Trump spoke at the White House as intensifying delays at some of the nation’s busiest airports and widespread disruptions brought new urgency to efforts to break the impasse. Throughout, the two sides issued mutually exclusive demands that have blocked negotiations from even starting: Trump has refused to reopen the government until Congress gives him the wall money, and congressional Democrats have rejected bargaining until he reopens the government.